Tyrone Crabb Memorial Park was dedicated on May 1, 2015 in Newburgh, NY. 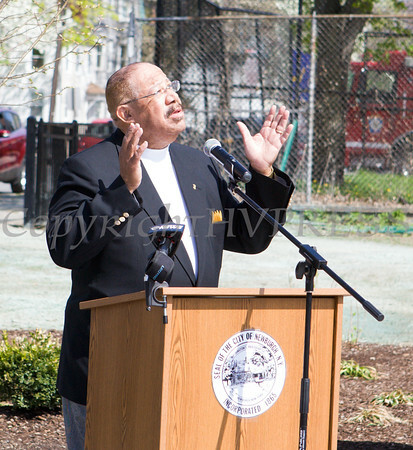 Eugene L. Aiken, Jr. offers remarks on behalf of the Crabb family as the Tyrone Crabb Memorial Park was dedicated on May 1, 2015 in Newburgh, NY. Hudson Valley Press/CHUCK STEWART, JR.